Bermudagrass thrives on foot traffic, particularly when kept short. 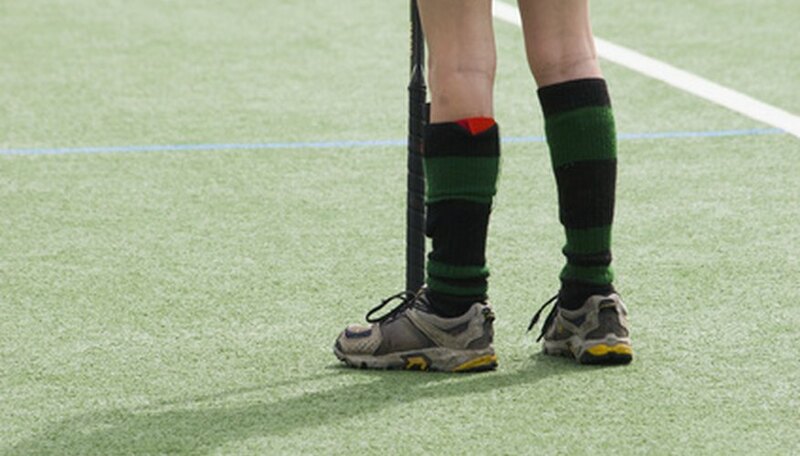 Its ability to stand up to abuse has made it the first choice for sports turf fields in the South. Keeping a lawn cut short sounds easy enough, but in practice, it presents some challenges. Texas A&M University turf specialists recommend keeping Bermuda grass cut to a height of 1 inch, maintaining that, at heights above 1 inch, the turf that is less wear-resistant and develops unattractive brown stems. In the more temperate climate of Kansas, university researchers suggest mowing heights between 1 and 2 inches. Between the two in terms of climate, Clemson University Cooperative Extension recommends 1 1/2 inches. It is universally suggested that no more than 30 to 40 percent of the turf's length be removed in a single cutting. For the short cutting heights recommended for Bermuda grass, this means cutting twice a week during the peak of the growing season to keep it at 1 inch. Even at longer cutting heights, Bermuda grass needs to be cut frequently during the summer. For best results, use a reel mower on Bermuda grass turf that is kept at 1 inch or shorter. Rotary mowers will provide an acceptable finish at mowing heights above 1 inch. The short mowing height makes it important for the mower's width to be closely matched to the contours of the lawn. Undulating lawns need to be cut with a narrow deck. Wide decks create an uneven cut at best and can scalp the undulations, at worst. Wide, smooth, level turf can be cut successfully with a wide deck. To keep the lawn vibrant and healthy, fertilize with 1/2 to 1 lb. of nitrogen per 1,000 square feet monthly. The first application should be a few weeks after the lawn first breaks dormancy in the spring and the last should be well before the lawn goes dormant. For most places where Bermuda grass is common, this means the first application is in April and the last is in September. Annual aeration with a core aerator will help control thatch and prevent soil compaction.